Inspired by the gold standard of high performance gauges for racing automobiles the Racer watch is a precision hours, minutes and seconds instrument for your wrist. 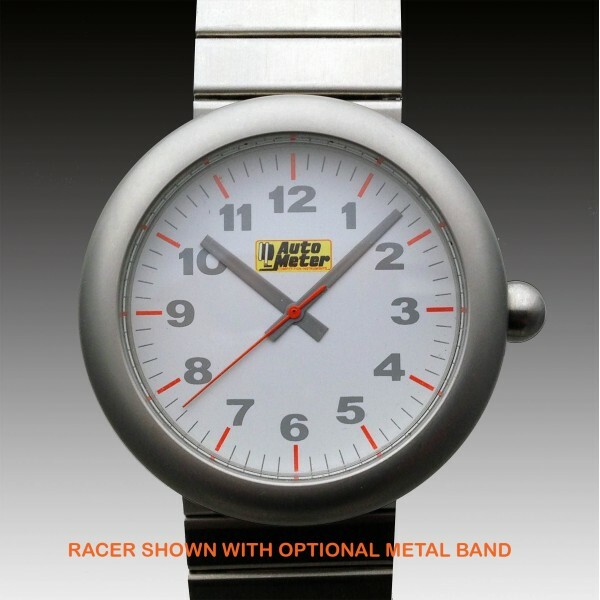 From it’s flat silver finish, deep set 47 mm bezel capturing the flat mineral glass crystal over the low contrast gray numbers on white dial face – to the fluorescent orange and dark gray hands the Racer watch is all business. The Japanese quartz movement is shock resistant and the watch is waterproof to 3 meters. Completing the performance look is a water and oil resistant silicon rubber strap with flat silver buckle- accented by the polished gear teeth crown.